THIS lovely Hillsborough Condominium has 2 bedrooms, 2 baths with a spacious vaulted open beam ceiling living room, kitchen and dinning room. 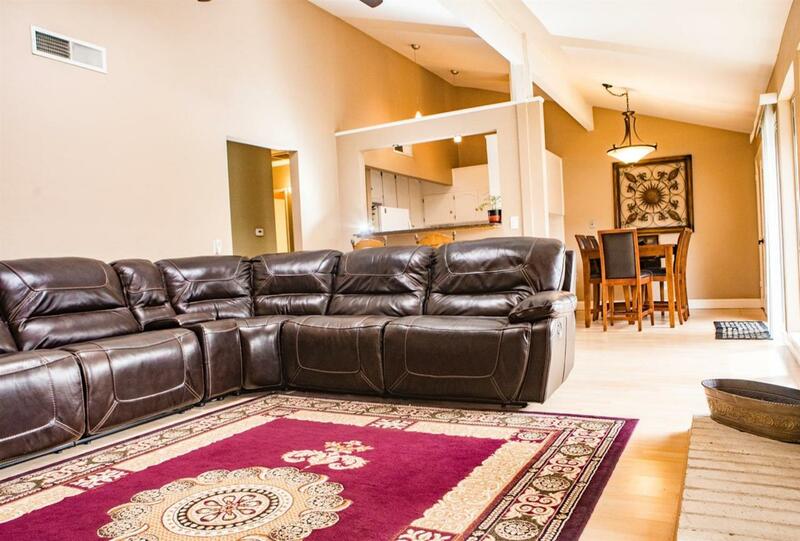 Living room has lots of natural light from the large open windows and cozy fire place. Laminate floors though out the entire home and ceiling fans through out. French doors hide the inside laundry room which has additional shelves. This home features an open floor plan, the kitchen has a breakfast bar with granite countertop and recessed lighting and pass through both dinning and living room. Spacious Master bedroom with walk in closet. Access to private fenced in spacious back patio through the dining area. Enjoy the larger sparkling pool in the condominium's common area. Located just north of Bullard High School and very close to Fig Garden Village. Make your appointment today! Listing provided courtesy of Jaclyn Crema of Landmark Properties.